Fifteen days left for these guys to put on some serious orange. My money is on indoor heating to beat nature this time of season. 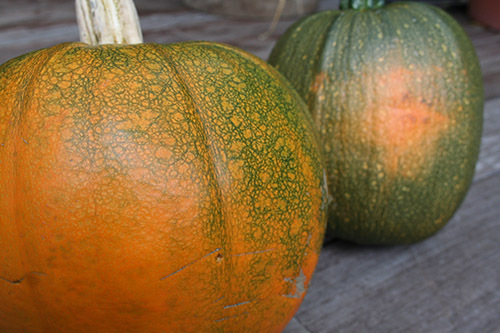 Any pumpkin-ripening tips — especially chants, spells, or strange brews — would be welcome.